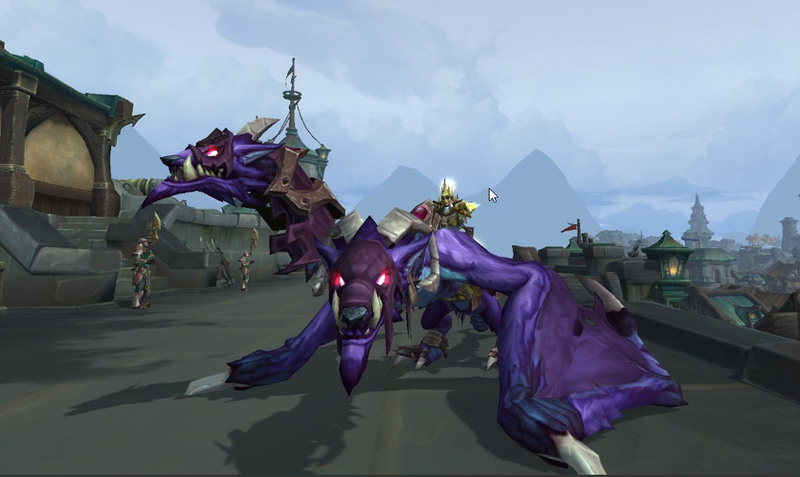 There are a total of five unique Mounts that can drop during the Horde controlled Darkshore warfront event. 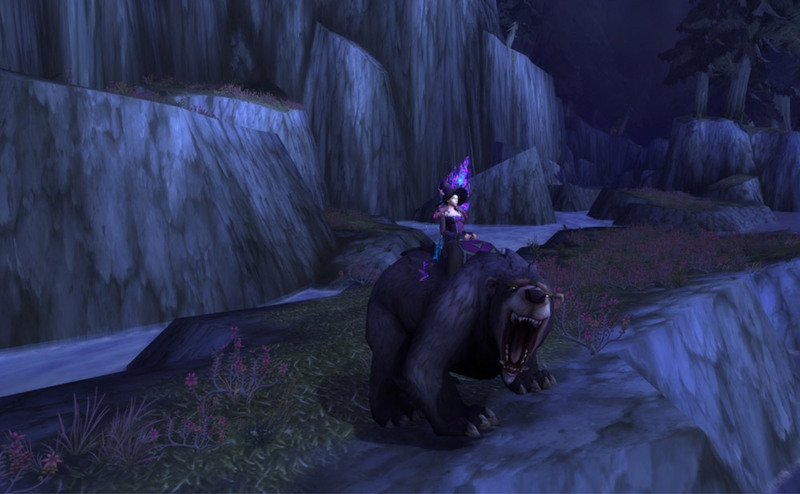 This article will show you the location of each of the rares that drop a mount, which mounts they drop, and the best route to take to farm them. Pretty much, all the mounts are the same that both the Horde and the Alliance can receive. 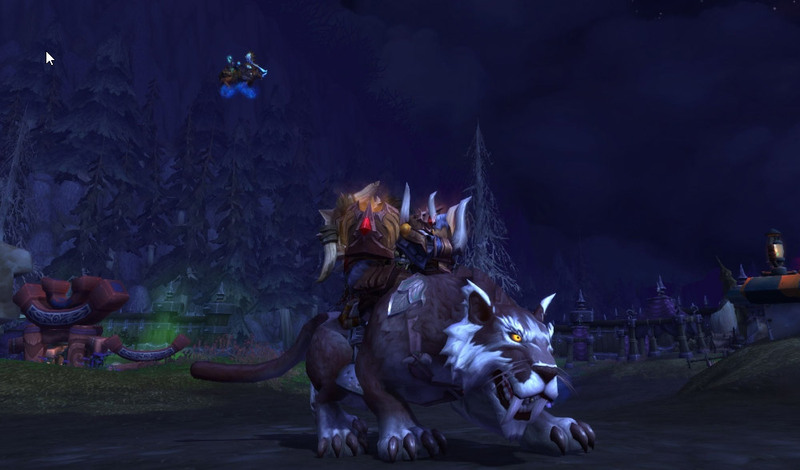 There are different rares for the Alliance that drop some of these mounts, and their locations can also be different. 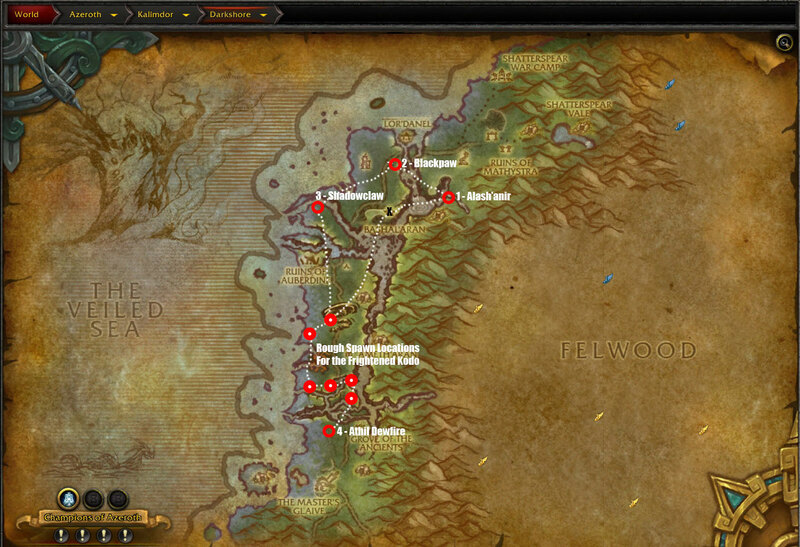 As such we have also made a map just for the Alliance. There is a cluster of 6 red circles with a white center. This is not a mistake on our part, these actually indicate the random spawn locations of a very rare mount. We say very rare, as only one person can collect it per spawning. The Frightened Kodo, is the kodo seen running away in the Terror of Darkshore cinematic trailer. We recommend giving the area a few flybys to see if he pops up, as soon as you see him, drop everything you are doing and interact with him straight away. You are competing against other players to claim him, and the first person to interact with this mount, will be the one to claim him. This purple Chimaera has a nasty acid breath attack. It is best to stand behind her to avoid getting acid blown all over you. Luckily she’s unable to turn her heads as she expels her acid, so once she starts retching, move out of the way. By defeating her, she may drop you an Ashenvale Chimaera of your very own. Blackpaw can be found wandering around near the path south of Lor’danel, by defeating him, there is a chance that you can make him your new mount. 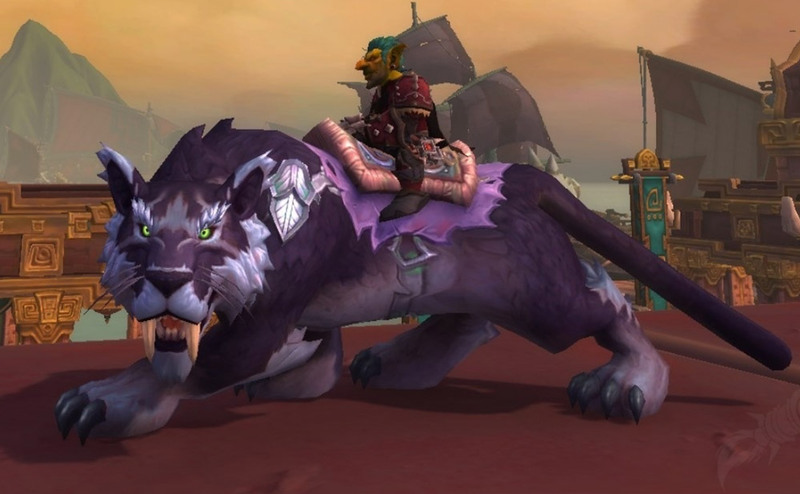 Shadowclaw is a Kaldorei Nightsaber that could be made into your own mount, once you have defeated it. Found to the west of the Grove of the Ancients. When you defeat this Nightelf, you might be able to claim her Umber Nightsaber as your own.